Vancouver’s new condo (or presale condo, as it is often termed) market offers an array of exciting opportunities for buyers—from those aspiring to homeowner status for the first time to experienced real estate investors. The presale market, however, is a bit different from the resale market. Here we will outline the buying process as well as the advantages and disadvantages of these homes for potential buyers. If you have any questions at all, please don’t hesitate to give us a call at 604-763-3136. 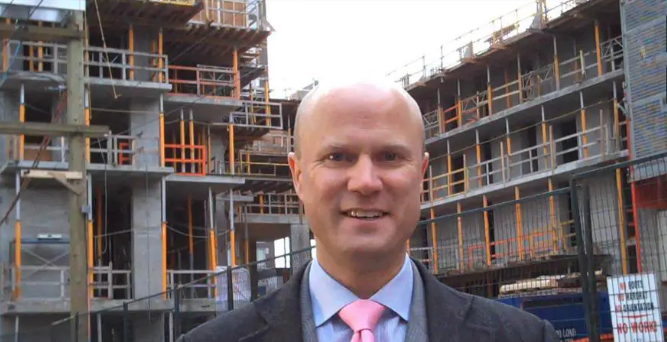 A presale is when a condo developer sells the suites of the development before it has been completely built and often before construction has even begun. You, the buyer, purchase the right to the future property. While ultimately you are responsible for paying the full purchase price, you do not have to take out a mortgage on the property immediately but are only responsible for a deposit. This deposit usually ranges from 5 to 10% of the purchase price at the time you buy, with another 10 to 15% paid in installments over the course of construction. The developer does not gain access to this deposit money, which is held in a trust account, until completion. If the developer does not follow through with the construction project, the full deposit will be returned to the buyer. Is it safe to buy a condo that does not yet exist? The presale market in the province of British Columbia is governed by the Real Estate Development Marketing Act and ensures a considerable level of protection for buyers. If you have concerns or questions about a specific developer, you can contact Mike at 604-763-3136 or get in touch with the Home Owner Protection Office. Apart from a highly regulated marketplace, potential Buyers should be aware of 3 important facts about buying a pre-sale property. You, the Buyer, have the right to cancel the contract to purchase the property for 7 days after the offer has been accepted. This right is part of a provincial law and is known as the “7 Day Rescission Period.” It allows you to walk away from the purchase for any reason at all — you are worried about future financing, you fall out of love with the development, or you decide to bet your entire deposit on a Vancouver Canucks game. No matter the reason: you have the right to cancel the contract on the spot. The developer does not gain access to your deposit until construction is complete. This money is placed in a lawyer’s trust account for the duration of construction, meaning that your deposit is returned to you if a problem with construction emerges or if the developer declares bankruptcy. The developer must provide you with a Disclosure Statement and you should be sure to read it. This statement contains important information about the future property, such as what is included with your purchase, the size of your suite, and what the building will look like upon completion. What are the advantages of pre-sale properties for investors? Presales offer many advantages for investors. Below we outline six attractive features of the presale market. You often can secure the purchase of a presale for as little as a deposit of 5 to 10%. Should the property increase in value before completion, you could see a significant return for very little money actually invested. For example: you decide to buy a $300,000 condo home with a planned completion date for 5 years in the future. To secure the property, you make a 10% deposit of $30,000. Due to an increase in the real estate market, your condo is worth $360,000 2 years later and you decide to sell the property (this is known as selling the assignment of contract). You walk away with your $30,000 deposit along with the value added to the property – that is, 60,000 or a 200% return on your initial investment. Now say you decide to hold on to that same property and the price remains constant until your completion date. The property is still valued at $360,000 when you go to your broker to see about acquiring a mortgage. Because you have more than 20% in equity ($60,000 + $30,000 = $90,000 or 33.3% of your $270,000 mortgage) you can avoid costly CMHC high ratio insurance premiums that are required for properties purchased with less than a 20% down payment. In this case you managed to have a 33.3% down deposit on your mortgage with only putting 10% down initially. Presale properties follow real estate market trends, with prices rising and falling just as existing property does. The difference between holding a presale and an existing property lies in the fact that an investor can benefit from the potential capital appreciation without the worry of tenants, the cost of property taxes, and the monthly maintenance fees. New condos built by reputable developers will usually not require costly repairs or maintenance on the part of an owner/investor for a considerable period after completion. The same cannot always be said for older buildings. Newer buildings are usually very popular with tenants for fairly obvious reasons — modern design, new fixtures, and appliances; no need for repairs or troublesome and costly maintenance; and the conveniences that come with many newer buildings, such as swimming pools, workout centres, saunas, hot tubs, concierge, etc. Very often tenants are willing to pay a premium to rent a recently constructed suite over an older unit for the reasons detailed above. Yaletown is Yaletown NOT False Creek North According to MLS.ca!